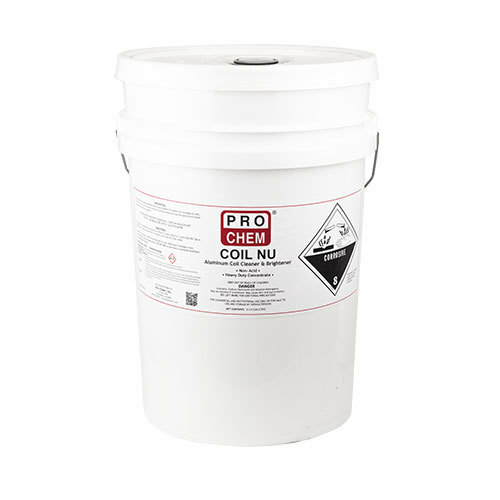 Coil Nu | Pro Chem, Inc. COIL NU restores all aluminum air conditioning coils to their like-new condition without the use of dangerous acids. It is effective on both vertical and horizontal surfaces and may be applied with a hand sprayer or pressure washer. It contains Sodium Hydroxide, a powerful and effective substitute for environmentally dangerous acids. For normal cleaning of coils, dilute as follows: 9 parts water to 1 part COIL NU. Spray solution on coils, let stand for five minutes, and then rinse off with water. Note: This product is not recommended for use where paint damage would be a problem. May damage decals. 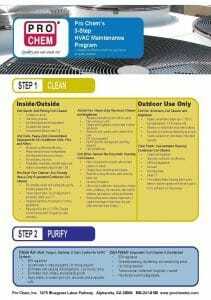 Do not use on polished or anodized aluminum or on automobile finishes.